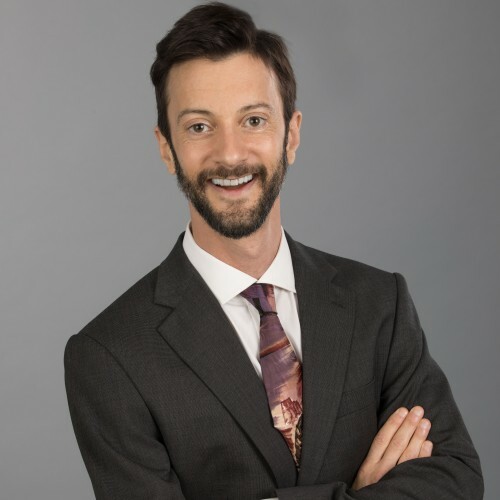 Trevor Justice is a funny, entertaining business motivational speaker, Certified Customer Value Optimization Specialist and self-made millionaire. He's also an expert advertising copywriter who’s generated millions for his clients… by compelling their prospects to say YES. His clients include Aweber, Mypoints, Re/Max and Cigna agents, and thought leaders like Frank Kern, Dave Lindahl, and NY Times bestselling author Robert Allen. Drawing from his own wildly profitable business experience, Trevor shows small business owners, entrepreneurs, and independent salespeople -- like real estate agents and people in direct sales -- how to earn double in half the time. But he's not just an expert on entrepreneurship. With award-winning, inspirational songs, he moves hearts and stirs souls in a way your other speakers can’t. So at conferences, he fulfills two roles for the price of one. He renews your audience's enthusiasm, breathes new life into their ambitions, and wakes them up for your breakout sessions. Bucking the financial crisis, Trevor founded an online school in 2009. Using effective delegation and automation, he turned his passion for vegetarianism into an online school, The Vegetarian Health Institute. He ran it from his laptop while touring Brazil and Europe, and providing musical inspiration to congregations around the U.S. When Trevor sold the school, it had 63,000 subscribers and occasional six figure months, not to mention raving testimonials from many students who reversed disease and deficiency. Now he owns an electric sports car and three multi-family properties in San Francisco. Trevor is a natural born entertainer who’s been inspiring audiences of thousands since before his business success. He’s won songwriting awards, appeared on cable TV, and collaborated with hit songwriters. You can hear his original songs on itunes and Pandora radio. Today he empowers small business owners and independent salespeople. He shows them the right way to scale their businesses, just like he did. And his keynote concerts give them the courage to face their fears. Find out more about Trevor Justice at https://www.trevorjustice.com/.